3D Printing is now moving to new heights. It is going mobile and helping Engineers bridge the gap between virtual and physical worlds. The technology behind 3D printing is helping engineers convert their dreams into reality and rapidly prototype complex products and machine parts. The mobile app revolution has completely transformed the area of 3D printing. There are several Android and iOS apps that let users on the go to view files, design and convert images from 2D to 3D printable files. If you have 3D printer or work with 3D printer control files (gcode), this application is for you. 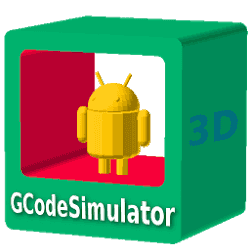 GCodeSimulator can visualize Gcodes and simulate 3D print process. This application can show how print will look and check how print should turn out to be. "GCode" is a programming language which informs 3D printers how to make a model. GCode Simulator recognizes the print speeds and can simulate the print in realtime. MakerBot mobile provides ease and convenience when it comes to 3D printing by offering quick access to everything from your mobile device and prepare digital designs for 3D printing. MakerBot Mobile lets you monitor prints using your MakerBot Replicator 3D Printer's on-board camera. 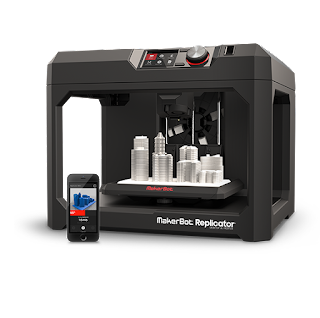 You can access printer preferences, remotely print, pause prints, cancel prints, and start the filament swapping and extruder attachment process with MakerBot Mobile. OctoDroid is specifically designed for remotely monitoring, as well as controlling your OctoPrint instances and supports all the functionalities that are needed for extended 3d printer usage. 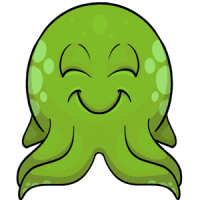 With OctoDroid, you can start a new print job according to your preference and stop print job in your absence. It is so easy-to-use and convenient that users don’t need a browser for checking the state of your current print. Makerbot’s Thingiverse allows discovering, making, and sharing 3D printable things a seamless experience. Considered as the largest 3D printing community in the world, Thingiverse strongly believes that everyone irrespective of their technical expertise or prior experience should be able to create 3D things. Thingiverse app lets users browse Thingiverse from the comfort of your phone. 3D modeling + printing app to create 3D models (STL files) while on the go using touch, without wifi or a mouse. The app can be used with or without a 3D printer. Morphi has several uses including developing models, inventions and prototypes, making products. This app also acts as a teaching tool for Maker education (MakerEd) and STEAM subjects (Science, Technology, Engineering, Art + Math). The SketchUp Mobile Viewer infuses life into your 3D models on your iPad or iPhone allowing you to open and view SketchUp models on the device whenever you want to view them. SketchUp lets you download models on your device from 3D Warehouse, Trimble Connect or Dropbox account for offline viewing. Several navigation features include multi-touch gestures for Orbit, Look Around, Pan, Zoom, and Zoom Extents, as well as a Camera menu to toggle between Perspective and Orthographic camera modes, and adjust the Field of View. We hope that you have enjoyed reading these apps. Are there are any 3D printing apps that you would like to mention? Please let us your thoughts in the comments below. Anna Harris working as web content writer and a strategist for a major IT firm delivering the best hire web & mobile app developer services for all your varied business needs.